Aloha, fellow beach combers! 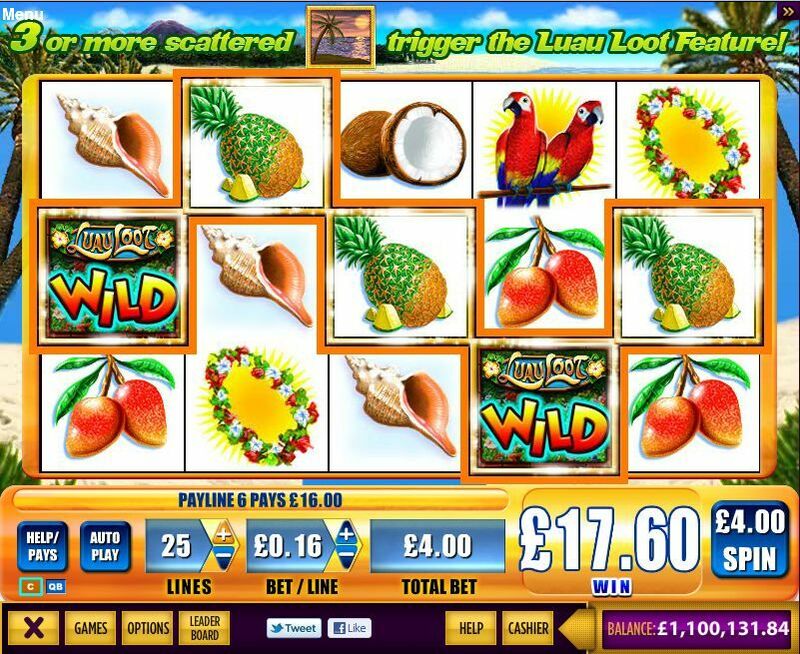 If hanging ten and riding the tube aren't radical enough, maybe you need to play the LUAU LOOT slot game at Slots Magic Casino. 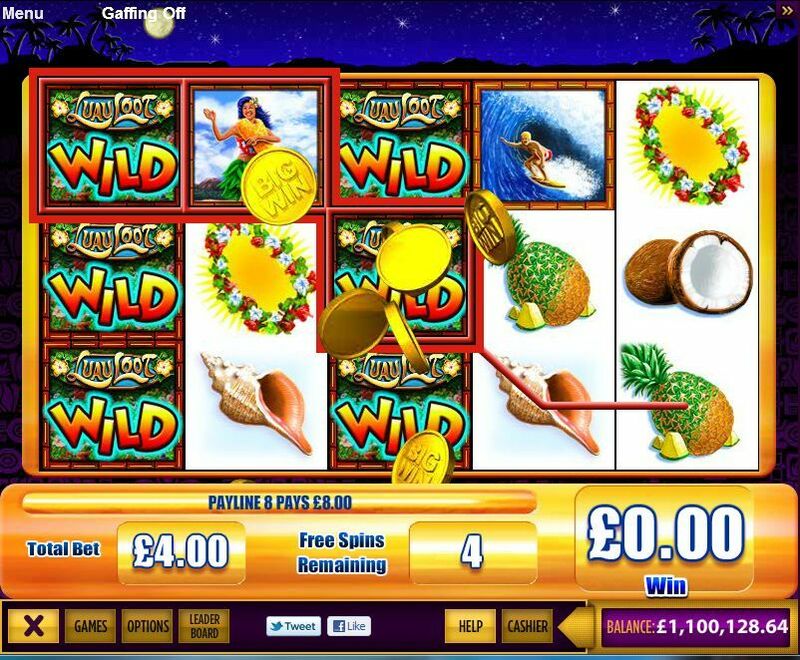 You could be riding a reef of riches in this 25-line slot where you'll experience adrenaline on an unprecedented scale. 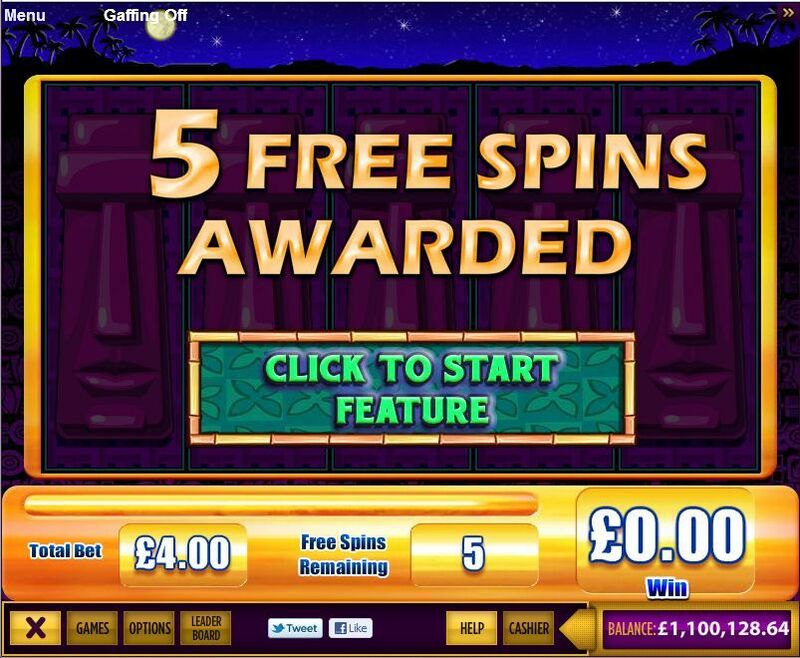 Trigger the free spin feature for up to 20 free spins. Even better, each free spin during the feature contains 2 randomly awarded WILD reels that could send an awesome fortune your way! And remember, while playing the Luau Loot theme you could trigger the Jackpot Party Progressive bonus -- completely at random! Go radical and take it to the max -- play the LUAU LOOT slot today, exclusively at Slots Magic Casino.